CQUniversity is fortunate enough to have hundreds of dedicated staff who contribute great things to our university every day. This week – two of our staff - academics Sherie Elliott and Associate Professor Kerry Reid-Searl have each earned a national 'Citation for Outstanding Contributions to Student Learning', in the Australian Office for Learning and Teaching awards for 2012. 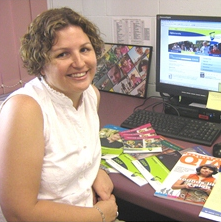 Sherie who is based in Gladstone works with students in bridging programs in her role as a lecturer with the Academic Learning Services Unit. She has been awarded for providing outstanding support and guidance to stimulate and consolidate learning – creating an engaging learning experience that inspires students to succeed. 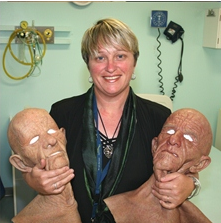 Based in Rockhampton, Kerry has been awarded for sustained excellence in the creation of a highly imaginative simulation teaching technique, using human-like props which prepare nursing students for practice. This award also recognises her international leadership with the MASK-EDTM and Pup-EdTM simulation packages. Read more about Kerry Reid-Searl’s work. Citations for Outstanding Contributions to Student Learning recognise and reward the diverse contributions made by individuals and teams to the quality of student learning and are awarded to those who have made a significant contribution to quality student learning in a specific area of responsibility over a sustained period, whether they are academic staff, general staff, sessional staff or institutional associates.